It was this time last year that Peter O'Mahony gave a Leinster man an unforgettable death stare. Munster had just lost 23-17 to Leinster at the Aviva Stadium when Reggie Corrigan pulled the pin in an interview for TG4 and asked O'Mahony if he felt his team-mates gave as much as they could have in the game. A stunned O'Mahony replied by asking Corrigan if he was questioning his team-mates. For anyone wanting more than what was served up on the pitch then this exchange of words delivered just nicely. Munster need a win today more than Leinster. Why? Because their away form has been thoroughly unconvincing and weakened opposition means little can be read into their three home victories. They start their Heineken Champions Cup with an away game against Exeter Chiefs this day week and need momentum. Leinster know what they're at while Johann van Graan has billed today's game as "a reality check". Every aspect of Munster's game took on the appearance of a strength in their record-breaking win over Ulster last Saturday - their defence, their set-piece, their attack. If only it were that simple and Munster were at home every weekend. When Munster have looked good this season, they've looked very good but when they've looked bad (see weaknesses below). The Ireland captain for the historic series win in Australia, O'Mahony sets the tone and temperature for Munster. Andrew Conway said the skipper was fired up in the dressing-room before the Ulster game and O'Mahony duly went out and hunted everything, including four turnovers. When O'Mahony plays well, Munster play well. He's part of a back-row with CJ Stander and Tommy O'Donnell (who was excellent last Saturday) which matches the Leinster back-row in what will be a breathless tussle today. Stander said Munster have gone up to the Aviva Stadium in the past and "tried to reinvent the wheel and it didn't come off". One of Munster's traditional strengths has been their uncompromising attitude, when that's lacking - like in the second half against the Cardiff Blues two weeks ago - it can destabilise their entire game. Munster forwards don't need to reinvent the wheel against Leinster today, they've got backs who can produce something out of nothing. Their away form is their major weakness. The manner of Munster's 27-22 defeat to Racing 92 in last season's Champions Cup semi-final hasn't aged any better since that haunting day in April. They performed much better but still lost 16-15 to the newly-minted four-time European champions in the RDS in the Pro14 semi-final. There was the 25-10 away loss to Glasgow but it was Munster's 37-13 defeat to Cardiff which betrayed how a system can flounder when the attitude is off. The second half was so un-Munster, especially with their passivity in defence with four tries conceded overall. O'Mahony was adamant those problems were fixable - he was right, they were, albeit against a weakened Ulster team. What hurts Munster the most is when their strengths are turned into weaknesses and when their strongest players are targeted and neutralised like against Racing last season. As Conway alluded to this week, it can't just be left to O'Mahony to lead the team. It's hard to compare any bench to a Leinster bench and the same goes with Munster when its stacked against Leinster's. Chris Cloete was in indestructible form for Munster last season before he picked up an injury but, like the rest, had a frustrating outing in Cardiff a fortnight ago. JJ Hanrahan has struggled to find consistent form since returning home from Northampton last year. Van Graan started him in the first two games of the season but Carbery is operating on another level. 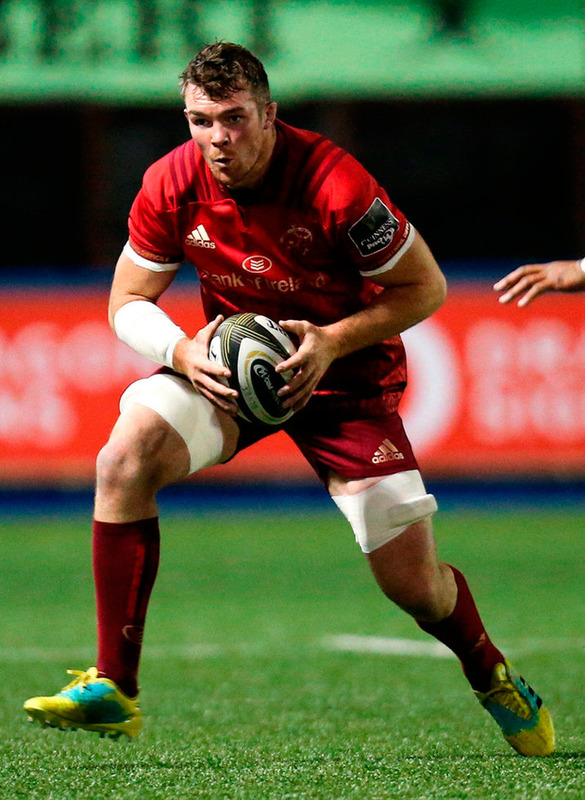 Rory Scannell coming off the bench is an assured and dependable option for Munster. But in terms of game-changers in the backs, the biggest ones for Munster are in the team, like Carbery, Conway and Darren Sweetnam and Keith Earls. Considering Van Graan only took over late last year, Munster managed that transition very well by qualifying for the European and PRO14 semi-finals last season following the return of Rassie Erasmus and Jacques Nienaber to South Africa. The calibre of those two coaches was further underlined with the Springboks' recent win over New Zealand and Jerry Flannery had nothing but high praise of the pair in a recent 'Sunday Independent' interview in which he said, "I never came across coaches like them" and Nienaber was "the best coach I've ever come across". After saying he wouldn't change too much last season, we now await to see what the true Van Graan effect will be along with defence coach JP Ferreira. From the outset, Van Graan has called for consistency. So far, Munster have been anything but consistent and they need an away win to cast off that awful performance in Cardiff as an aberration. Flannery and Felix Jones spent some time with the Crusaders in New Zealand during the summer and Flannery said, "we're trying to technically make the players better". This is a big season for all involved. An easy way to spot players who have something different is how time seems to slow down when they've got the ball. When Dan Goggin threw that inside pass in the 63rd minute last Saturday night, the onrushing Carbery lifted his hand at just the right moment, so as not to slow himself down, to catch the ball gracefully. And there is a grace about the way he runs - body straight, swerving when he needs to, a talent who comes into his own when the game is chaotic is a wonder to watch and a terror to defend against. In the absence of the injured Conor Murray, his halfback partnership with Alby Mathewson could be the new Francesco Molinari and Tommy Fleetwood. Mathewson could turn out to be a saviour for Munster - it wasn't just his quarterback throw during the win over Ulster, it was the fact that Van Graan said players tried to tell him to slow down but he threw the pass anyway. And what of Earls - he's taken up where he finished off last season. Beauden Barrett and Jordan Larmour aren't the only players who can pull off a one-handed scoop of the ball, you know. And Sweetnam, who set an electric pace early in the season for all wingers, is back in the Munster team. They will need all their X-factor players firing today.